Handheld consoles of the 90’s. The Good, The bad and the unappreciated. The original Nintendo Gameboy was released in Europe on September 28th 1990. The second-hand held device to be produced by Nintendo, after their Game & Watch series in the early 80’s. Selling some 64.42 million units worldwide, the Gameboy cemented itself as an iconic piece of the early 90’s. Officel Sega Battery Pack, even clips on your belt! The Gameboy was not without competition from rival companies such as Atari and Sega. Both had hand held consoles out at time, the “GameGear” and “Lynx”. Boasting colour graphics and backlit screens, you’d be forgiven for thinking these where superior consoles, in many ways they where. The Atari Lynx was the first gaming console with hardware support for zooming & distortion of sprites, allowing fast pseudo-3D games (ref wiki). However the technology of the time meant both consoles would be forever faulted for battery life issues. The Gameboy with its monochrome screen and no blacklit could run for 10-11 hours on 4xAA batteries, where as the Game Gear and Lynx could only manage 4-5 hours with 6xAA’s, This would plague both consoles throughout their lives. Both companies offered optional rechargeable battery packs to overcome this limitation. But these where often cumbersome and heavy to carry around with you. As I own both the Gameboy and the Game Gear, I have to say I like both consoles for separate reasons. The Game Gear is great for sitting around the house and having a quick game of Sonic or Columns. The backlit makes it a breeze to use, I don’t have to worry about having a light source to see what I’m doing. The stock LCD screen does have a slow refresh rate resulting in blurry sprites if things are moving fast on the screen. This can be pretty bad on the eyes, but I’m guessing it was a limitation of the technology of the day. My Game Gear also has a third party battery pack which clips to the rear of the console. 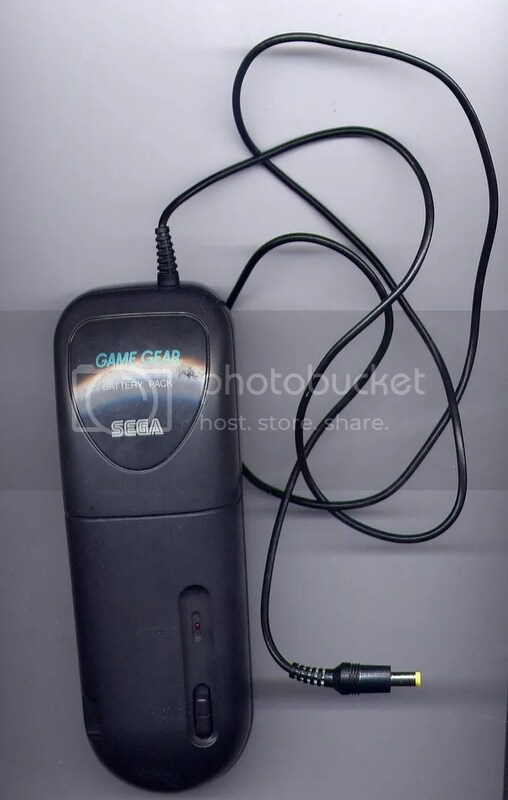 Unlike Sega’s official rechargeable pack which clipped to your belt. Atari Lynx, ahead of its time? I wasn’t aware of this product until doing a recent search on Google. I can’t help but puzzle why Sega went this route when other companies where producing better products for the Game Gear. My battery pack is shaped with grips for holding the console, which I personally find improves my hold on the console. The Atari Lynx is one of those consoles I’ve never got around to owning. When it first came out, i remember going for the GameBoy. I can even remember them on the shelves of our local Beatties (oh i feel old!) Not actually owning one, I can only offer much hands on knowledge. But from what i have read and a look at the spec’s the Lynx was perhaps overlooked to quickly by the average kid of the 90’s. In terms of specifications, it offered far much more than the Gameboy and was priced better than the GameGear. If I get my hands on one, expect to see a review dedicated to the Lynx! 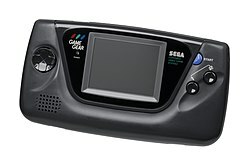 Sega GameGear, a good console if you can endure the sometimes headache inducing display. The Gameboy is not without its short falls. The monochrome liquid crystal display which Nintendo choose for the Gameboy was often criticized by its rivals and also by the general public for it’s poor visibility and low resolution. Many third-party products were produced during it’s life to address problems, such as clip on lights and screen magnifying viewers. Yet these required more batteries. As a teenage I would often take a pack of batteries along with me when travelling. You always needed them! The only thing which saved the Gameboy from the likes of Atari and Sega in the 90’s was the battery life and the quality games that where available. My opinion of the screen has not changed since I was 13, it’s just plain rubbish! When the Gameboy colour was released many including myself, criticized Nintendo for not addressing the backlit issue. In 1998 Nintendo released the Game Boy Light, only available in Japan. It was almost the same size of the Gameboy pocket and used an EL backlight, very similar to that used in wrist watches. It would not be until 2003 when Nintendo released the Gameboy Advanced SP would be see a lit screen and even then it was front lit! 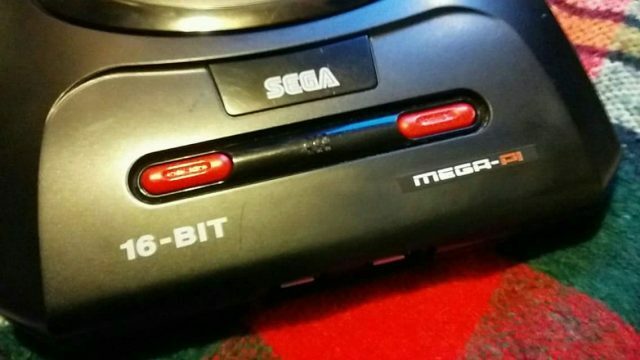 In part Atari and Sega where ahead of their time.